With the passing of Jeff Brotman the University of Washington has lost one of its greatest volunteers and most accomplished and generous graduates. 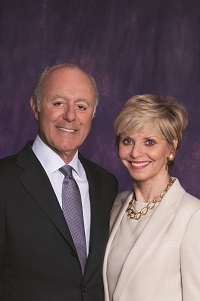 His and Susan’s principled and passionate leadership, coupled with their generosity — particularly in support of students and of advancements in medicine — have left a lasting impact on our University and all those we serve. Thousands of students were able to attend college and earn degrees thanks to the Costco Scholarship Fund, which he helped launch, and his dedicated support for UW Medicine, including his vital role in the development of the South Lake Union Campus, are just two examples of the many ways his heartfelt devotion will continue to change lives for years to come. Jeff earned two degrees from the UW, an undergraduate degree in political science and a J.D. in law. His role as a co-chair, together with Susan, of the UW’s Be Boundless campaign, and his previous service as a Regent, and as a leader on numerous UW boards and initiatives, including his significant roles at UW Medicine, have been defined by his strong advocacy and forthright counsel, both of which have been invaluable to me and to many UW leaders. He was actively involved in advancing the School of Law, and as a passionate Husky, he could be found at almost every home football game. We send our heartfelt condolences to Susan, to their children Amanda and Justin, and to his loved ones. As we remember Jeff, we will rededicate ourselves to his long-held belief in social justice and equity. His generosity is a model for what it means to give back to your community and to provide opportunities for all, and for that we are forever grateful.